This beautiful house stands, as you can see below, just above the Monte Carlo Beach Hotel on a promontory of land called Pointe de la Vieille. 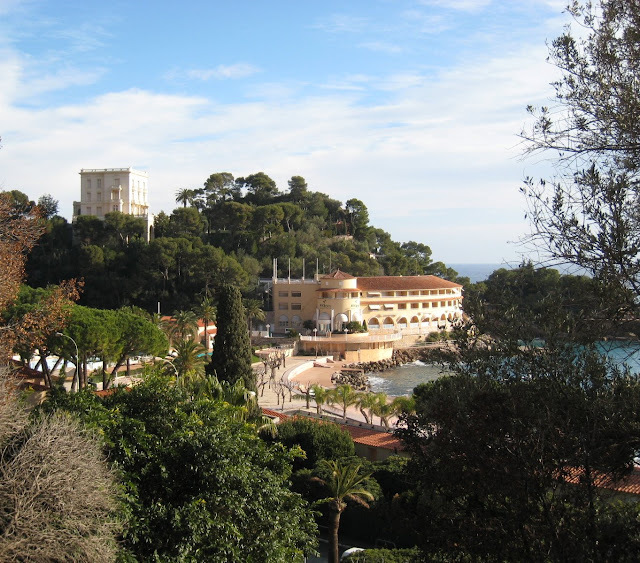 The land was originally leased by the SBM of Monaco, and later in 1926 they bought it. The Pointe de la Vieille marks the eastern boundary of Monaco and France. 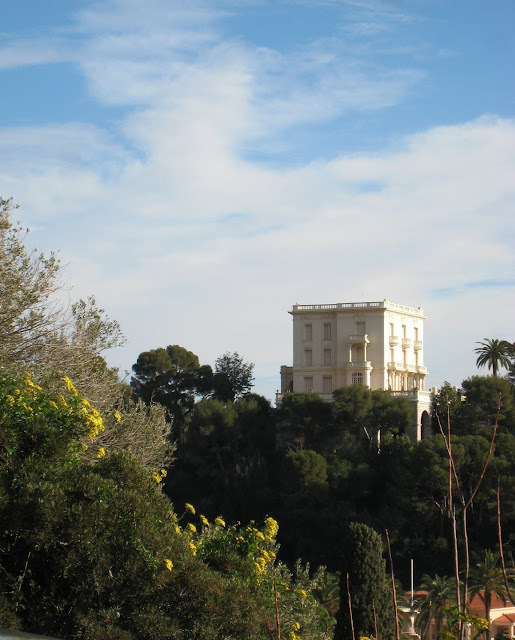 In 1902, Sir William Ingram, a rich English baronet - who incidentally owned the Château of Roquebrune at one time - built this beautiful white house, La Vigie, when it was considered one of the finest houses on the Riviera. Following his death, and years later, after many disputes over the land, the house became the property of the SBM. It remained vacant for years until 1986 when, following restoration, it was lived in by the designer, Karl Lagerfeld until 1997. (this is a very condensed history - you can read the full story HERE). A neat looking house and a great view to boot. I can see why. Who owns it now and what does Mr L. do now for B&B in Monaco? Yes indeed, very beautiful. Lucky Mr L.
Beautiful architecture, a great view to our pleasure!